Barentsburg is situated at the Svalbard archipelago, halfway between Norway and the North Pole with strategic access in the Barents Sea to vital sea lanes linking Russia, Western Europe and North America. As sea ice vanishes and the Arctic Ocean grows ever more accessible, Svalbard’s geopolitical value has soared. Due to climate change and record-low levels of ice, a ship was able to navigate the Arctic Ocean north of Russia for the very first time during wintertime this year. The Svalbard Treaty of 1920 gave the previously unclaimed islands to Norway but allowed any country to perform mining and other economic activity. 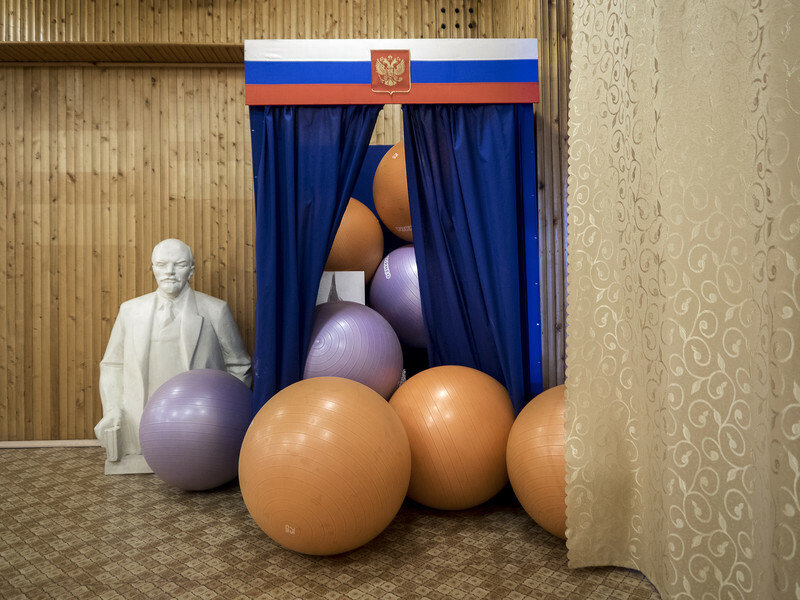 The Russian state-owned Trust Arktikugol has been mining coal here since 1932, and during the Cold War Barentsburg was a veritable hotbed of activity as the Russians attempted to expand their zone of control over the islands. 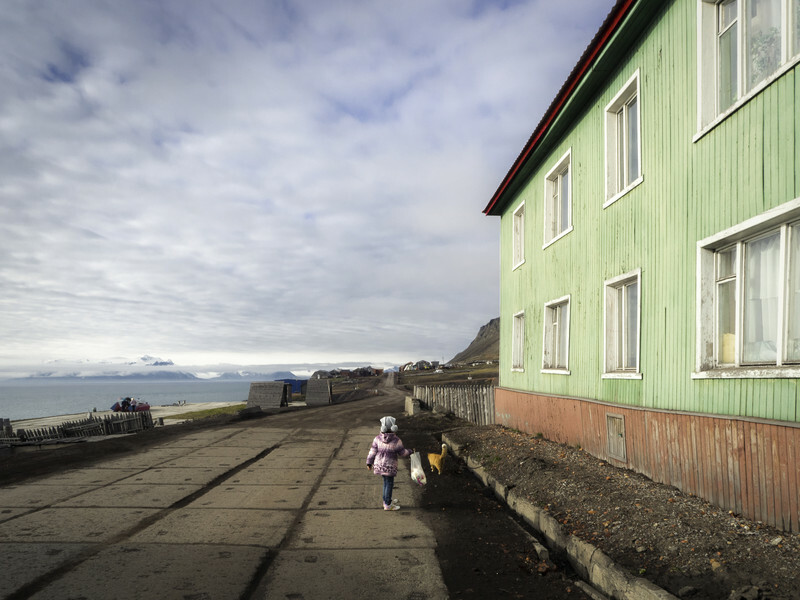 A total of 570 people (mostly Ukranians) now live in the settlement of Barentsburg and the Russian company Arktikugol has since the early 1930s extracted coal on the archipelago. The mine closed in 2006 after concerns over an underground fire breaking out, but resumed production in late 2010. Barentsburg’s 480-meter-deep, high-sulfur coal mine produces elevated levels of methane gas. Several deadly explosions and fires have occurred over the years. Emissions from burning coal for heat and energy fuel global warming, making coal the single greatest threat to our climate. Coal mining is also a source of methane, a very potent global warming gas. On the hillside above Barentsburg is a five-pointed star and the Communist-era slogan Миру Мир/Miru Mir, or "Peace to the World”. Barentsburg in its heyday “embodied the Soviet ideal,” everything was free for the workers, there was full employment and no hierarchy. The mines on Svalbard were used as exhibition pieces for socialism.